Girl look hella cute in this mini dress. 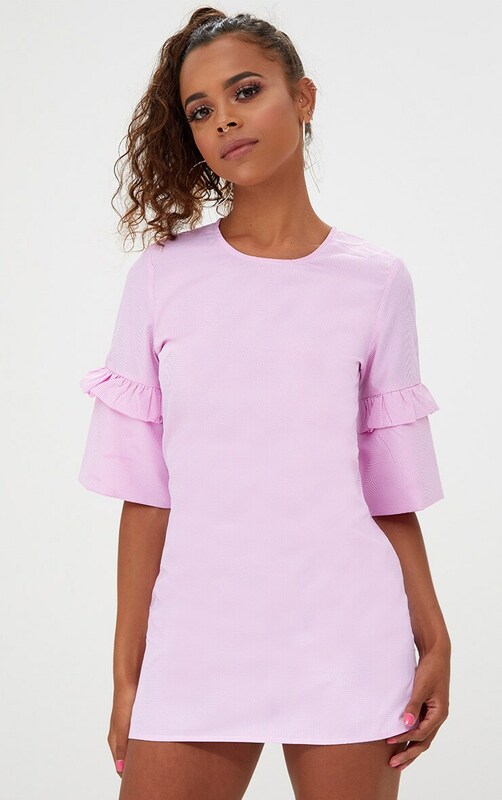 Featuring a shift silhouette and frilled sleeves you'll be slayin those hot days. Style this for those hotter days with your fav strappy heels or pumps for a more casual look.